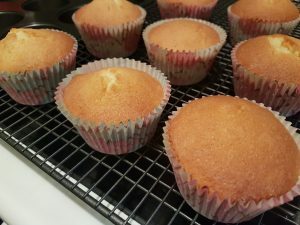 A simple twist on a baking classic, my gluten free victoria sponge cupcakes are a yummy teatime treat. With a jammy centre and soothing vanilla buttercream topping, I guarantee that these won’t be hanging around on your cake stand for long! 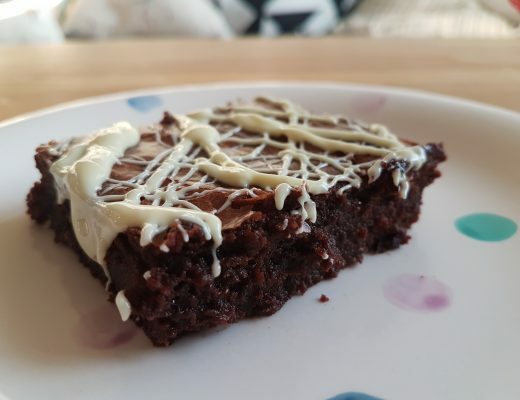 If you have a food processor, combine all the cake ingredients in the blender bowl and whizz until you have a smooth cake mix. 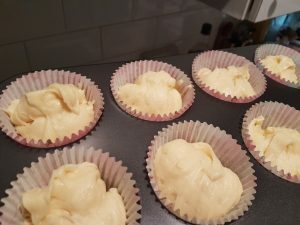 Not to worry if you don’t have a blender – this gluten free cupcake recipe can be made just as well using human power! 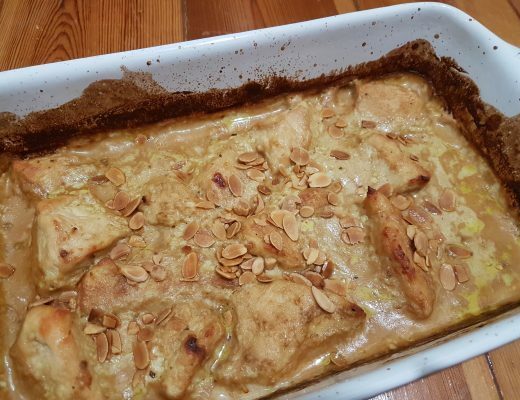 In a large bowl, cream the butter and the sugar until smooth. Then add the eggs one at a time, combined well after each. Finally, sift in the flour, baking powder and xanthan gum and mix for a few minutes until everything is perfectly smooth. 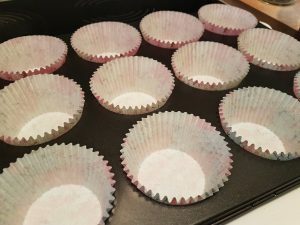 Line a cupcake or muffin tray with cupcake cases. Divide the gluten free cupcake mixture between the cases, so that each is filled to about 2/3 of the way up the case. Bake for approximately 20 minutes, until your cake tester comes out clean from the centre of your test cupcake. Gentlly take the gluten free cupcakes out of the tray and onto a wire cooling rack. Leave to cool completely. 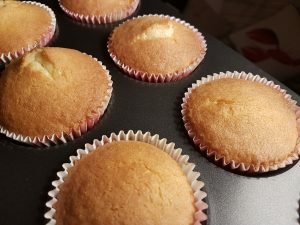 Once cooled, use a teaspoon to gently scoop out a small hole in the centre of each cupcake. Set the cake plug for each cupcake aside next to the original cupcake, as these will go back in once we have filled the centre. Gently spoon a teaspoon of raspberry jam into each cupcake, then replace the cake plug on top. Now you have created a cheeky raspberry centre, you can get ready to add that lovely creamy vanilla frosting. 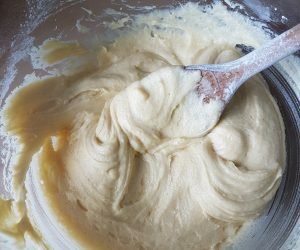 To make the vanilla buttercream, simply beat the butter in a bowl until smooth, then add the icing sugar and vanilla bean paste. 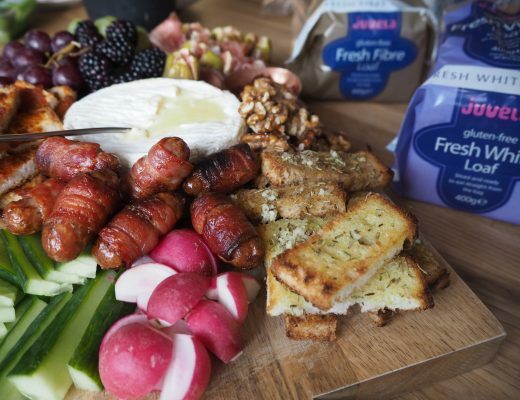 Mix well until smooth and fluffy. Use a small palette knife to spread the buttercream on top of the cooled gluten free cupcakes. 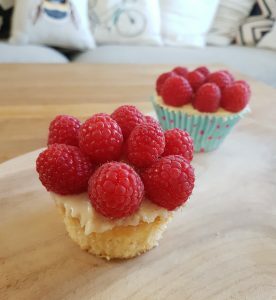 Finally, top each cupcake with raspberries. 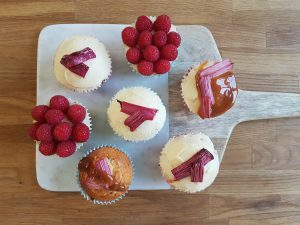 You can add a single raspberry for a minalist look, or pack the top with raspberries for a truly delicious gluten free cupcake.